Government job available for undergraduate? Suitable government job for undergraduate with commerce background? Regarding eligibility conditions in Bank and other state and central government examinations? What is the name of Exam conducted by ISRO for Undergraduate students? Importance of projects done in Undergraduate engineering courses while getting jobs? Steps involved to study medicine and surgery in Indian University? Information regarding list of exam which can be written after undergraduate? How do I register and write for scholarship exam to study medicine? How can I get a job after completing under graduation in Dentistry? Re: Government job available for undergraduate? The candidates who have completed their under graduation can opt for jobs in different reputed government departments. 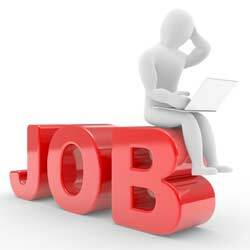 The candidates can choose jobs from the vacancies which are available in different sectors. The candidates after graduation can apply for jobs in different nationalized banks. The candidates can apply for clerical and PO positions in nationalized banks. The candidates should attend written test for getting in to bank jobs. The candidates can also apply for UPSC and SSC exams. They can apply mainly to departments such as Railways, defense services, Civil Services, Income tax, Customs department etc. Certain public sector companies may invite applications for specific positions. These companies also recruit candidates through written examinations. After the Graduation you can apply for the job in the government sectors in the Government sector lots of the posts in the different -2 departments for the Graduate students ..they can apply for these jobs according to your qualification ..
you can apply for the job in the BSNL departemnt through the JTO exam. so you can apply as a technical job in these companies for which entrance exam has been conducted by the own companies..
so you can apply these job posts according to your interest..
i have done btech (cs) 69.9% but 1 active backlog .. any jobs for me?? Government sectors jobs are one of the most wished career prospects and the career in the government sectors is mostly preferred because there will be a job security in the government sectors and there will be more career prospects. After the completion of the under graduation course of study there are many jobs which are available in the government sectors and also in the private sectors also,some of the government jobs after the under graduation course of study are some of the technical jobs are also available in the government sectors. you need to be minimum graduate to be eligible to get good government jobs,above are some chances take a look at them. Railway Clerk, Stenographer, Ticket Collector, Ticket Examiner , Train Clerk etc. SSC LDC, DEO, MTS and Stenographer. you are eligible for every job in govt. or private sector. The under graduate candidates can seek jobs in the various reputed government departments. The candidates can go for the jobs from the vacancies which are available in different sectors. The candidates after graduation can apply for jobs in different nationalized banks. The candidates can apply for clerical and PO positions in nationalized banks. The candidates should attend written test for getting in to bank jobs. The candidates can also apply for UPSC and SSC exams. They can apply mainly to departments such as Railways, defense services, Civil Services, Income tax, Customs department etc. Certain public sector companies may invite applications for specific positions. Which are the government sectors where M.Pharm freshers can I apply for a job? Is Drug Inspector job a government job? All times are GMT +5.5. The time now is 03:30 PM.